The Kaiseki dish is a kind of Japanese dishes based on the the zen Buddhism and the tea ceremony in a course style. It originally refers to the Japanese dishes before a tea ceremony.The recent of the Kaiseki dish is not completely derived from that forms. Serving dishes with seasonable ingredients, makes the most of the original taste of ingredients,and prepared the dishes with consideration. 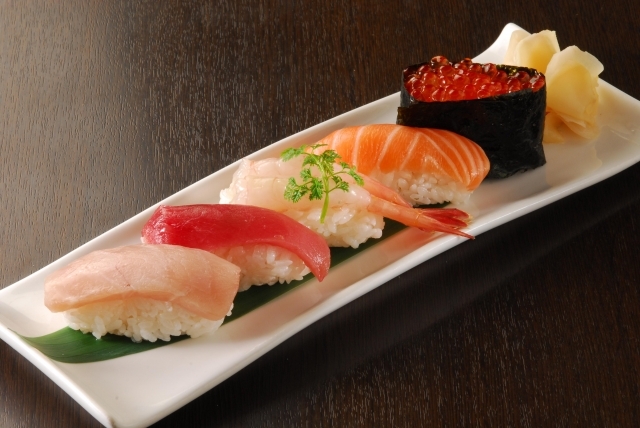 Each Kaiseki dish is served one by one,so you can enjoy dishes at your own pace. I would like you to experience profound, gorgeous world of Kyoto cuisine. Here are the list of Top 5 Kaiseki restaurants in Kyoto! Top 5 best Kaiseki in Kyoto!Enjoy Japan’s traditional meal! 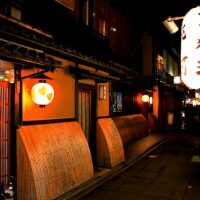 Sangentya is located in a back street of hanamikoji-dori running in Gion. 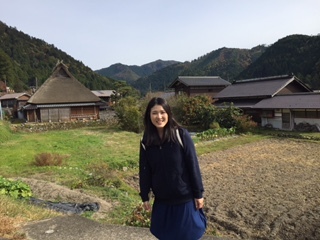 The style of sangentya is based on the Japanese beauty.After you enter the gate, you can see the stone -paved road leading to the entrance. They have a garden, so you can see the beautiful landscape while enjoying the dishes. The owner go to the market and carefully select ingredients every morning. Some of them are rare ingredients that are difficult to find at your local grocery store, but the owner can cook delicious dishes with these ingredients making use of his experienced skills. There are Otsukuri-no-moriawase (the style of various fishes), Mushimono(steamed dishes), yakimono (roasted dishes) etc in dinner course. Donabe-gohan( boiled rice in a Japanese clay pot) is very popular among visitors. 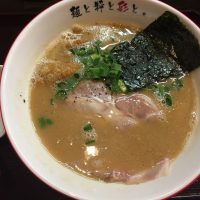 There are three ways to enjoy Donabe-gohan : salt, shirasu (the young of the sardine) with Japanese pepper, and carbonara flavor ( an egg York with a cutting lavor). Enjoy delicious homemade donabe rice at Sangencha! Open: Lunch 12:00～14:30(L.O.13:00)Dinner 18:00～21:30(L.O.19:30) It opens at national holidays. Kichisen is one of the three-Michelin-starred restaurant in Kyoto. 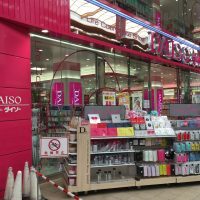 It is located in the district of Tadasu-no-mori which is in the border line between Takano river and Kamo river. The chef of Kichisen went to Kyoto,and started work as a kitchen apprentice at the age of 15. He learned not only cooking skills,but also had the various experiences such as Sado(Japanese tea ceremony), Kado (Japanese flower arrangement), and Kodo ( Japanese incense-smelling ceremony) and studied with 50 masters of different profession during his youth. Making us of these experiences he opened the restaurant Kichisen. In 1986,Kichisen was introduced by NewYorkTimes as a recommended Japanese restaurant. 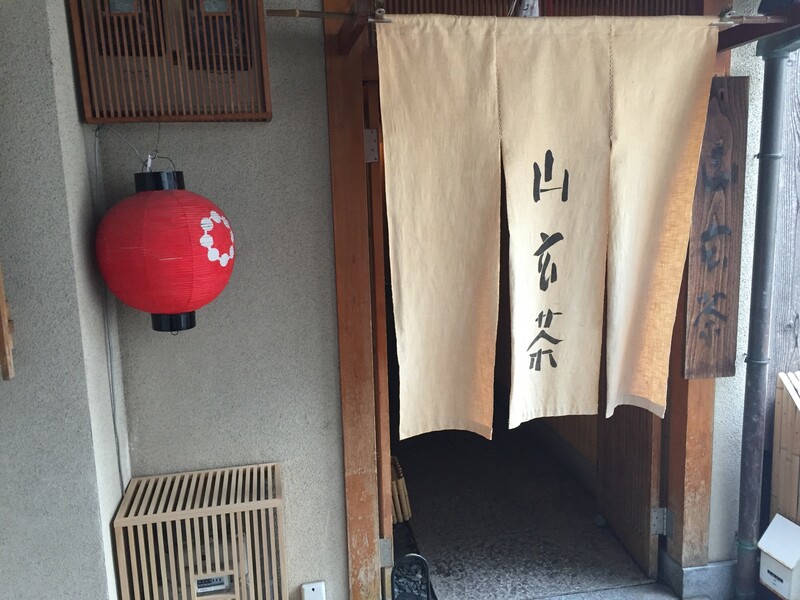 Kichisen is known for its traditional hospitality based on Cha-kaiseki. 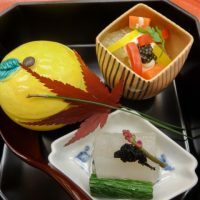 Some of the dishes such as Mukouzuke (It means otsukuri-no-moriawase), osushi, mushimono (steamed dishes) and yakimono(a main dish) express the season. You can enjoy dishes with its beautiful appearance and seasonal ingredients. Table charge:15％ of all the price. Gion-Nishikawa is one of the two-Michelin-starred restaurants in Kyoto. 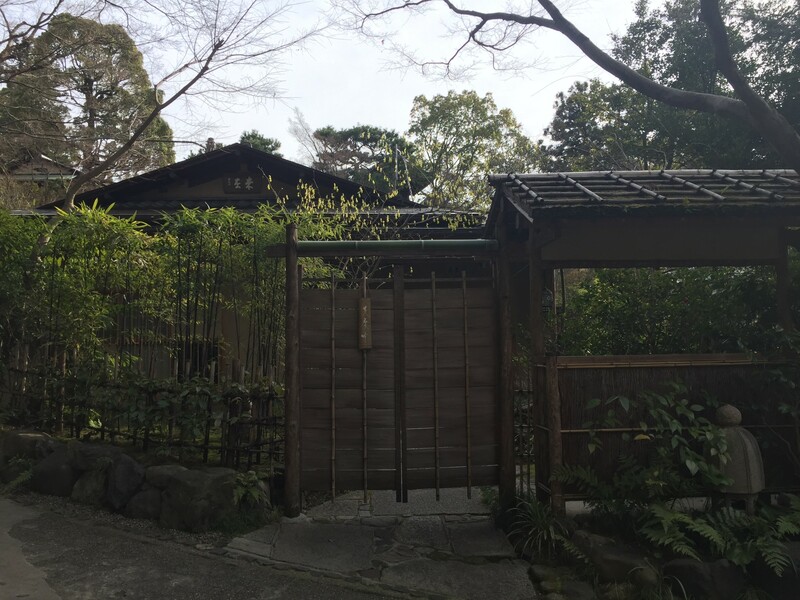 It is located in Shimo-Kawara-dori leading to the Shimogamo shrine. It is in back street of Kiyomizu-michi and has a quiet and calm atmosphere. There are many temples and museums in the this area. Keep walking this street,and you’ll find Gion Nishikawa near Kodai-temple and Entokuin’s garden. There are counter seats table seats, low (Japanese style) table seats and private rooms. At the counter seats, the chefs will cook the dishes right in front of your eyes. 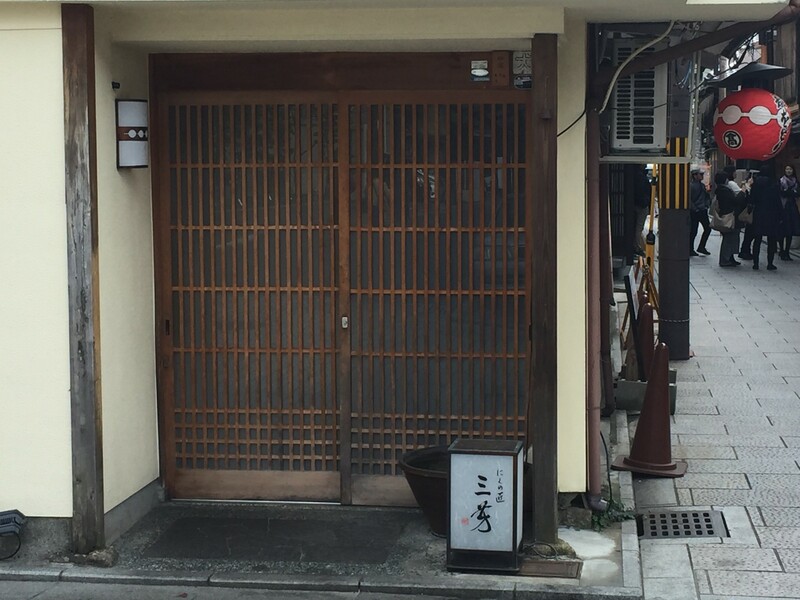 The chef opened this restaurant in 2009,and Gion Nishikawa was awarded two-Michelin-star just one year’s later. There are four kinds of lunch menu; 5,000yen, 8,000yen, 15,000yen, and chef’s course.If you want to dine at private room, you have to order more than 8000yen course. As for dinner, there are 3 kinds of dinner menu; 15,000yen, 20,000yen, and chef’s course. If you want to dine at counter seat, you have to order 15,000yen course or chef’s course. Yakihamo (roasted pike-conger) and anago-gohan (conger with salty and sweet sauce in rice) is very delicious. Closed: Sunday, Mondays’ lunch time, Mondays after a national holiday on Sunday. Table charge:10％ of all price. 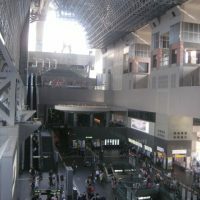 Others: Visa is available,but you can’t pay by a credit card for 5000yen course and 8000yen course in the lunch time. Mizai is one of the three-Michelin-starred restaurant in Kyoto.It is said Mizai is one of the most difficult reservations to get in Japan. 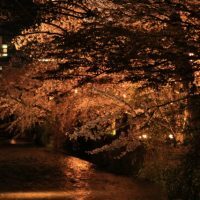 It is located in Maruyama park where you can appreciate beautiful cherry blossom in April. “Mizai” means “infinite” in Zen words. 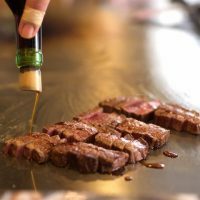 The chef,Mr Ishihara named his restaurant “Mizai” to remember that he need infinite kitchen training to serve the best dishes for the customers. They serve very delicious dishes beyond your expectations and each dish is decorated beautifully like an art. Their delicious dishes will give you the happiest moment of your life. There are only 14 counters and a reservation is must in advance possibly as much as 6 months to 1 year. Others: Reservation is necessary and available from two months beforehand. Credit card payments are not available. Niku-no-takumi Miyoshi is a famous restaurant serving Japanese beef Kaiseki in Kyoto. 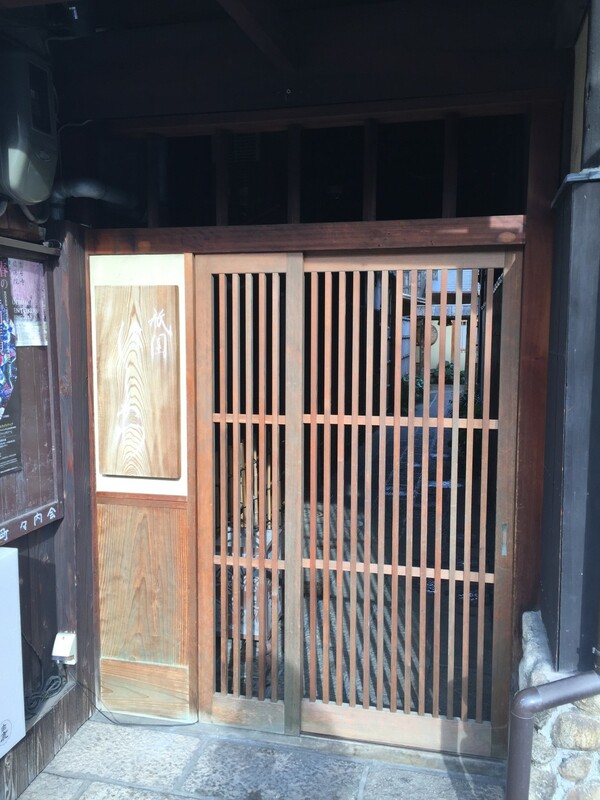 It is located in the back street of Hanamikoji running in Gion. They provide various courses at the price of 17,000 ~30,000yen. 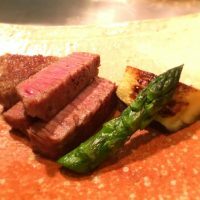 The beef served in these courses are all more than A level. The meat is very tender and juicy with a rich flavor. Their beef dishes would be the exceptionally　delicious you’d ever had. 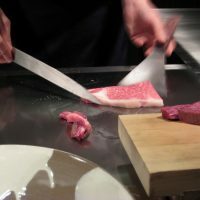 You can enjoy beef dishes in various ways such as roasted Kobe-beef, sirloin shabu-shabu chateaubriand steak, and Oxtail soup. 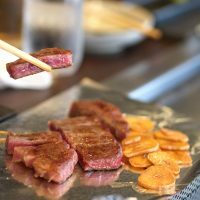 If you are meat lover like I am, Nikuno-Tadkumi Miyoshi is a must-go restaurant in Kyoto! Closed: Sunday is a regular holiday. 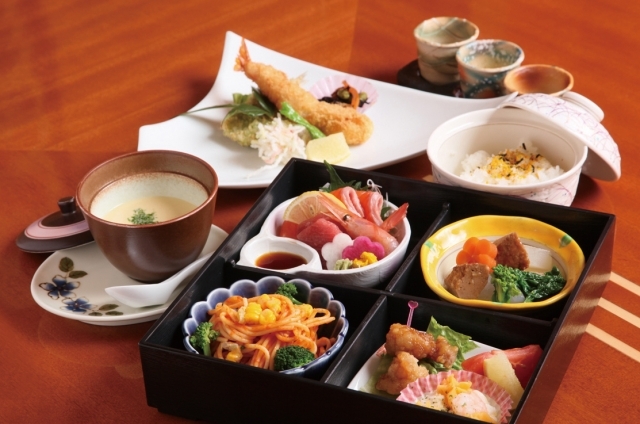 In Kaiseki dish,everything from the ingredients to the serving plates and utensils is planned with the consideration. 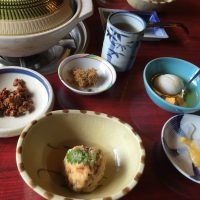 I hope you’ll enjoy best Kaiseki dishes in Kyoto!